SMED Single Minute Exchange or Die is a structured method, based on a team work. 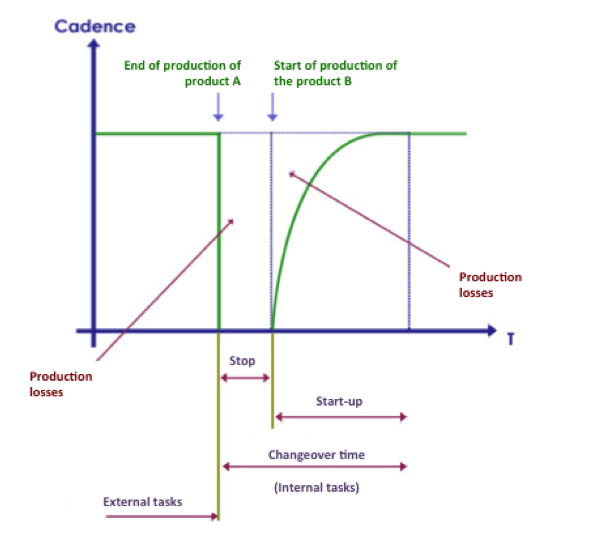 This methodology reduces productivity losses related to manufacturing changes (material, products, serial, …) with a quantified target. 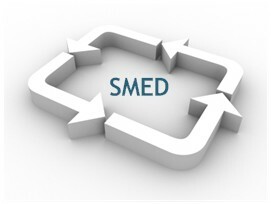 SMED was born in 1970 in the world of competitive industrial TOYOTA, This is where we discover the key role of changeover times to obtain the overall manufacturing flexibility. We mean by production changeover times, the time between the last good part of the previous manufacturing run and the first right part of the next production. The SMED dynamic is therefore to improve the ability of a machine to quickly change production in a significant reduction (or elimination) of the stopping for change.